Winner at the 2018 Parliamentary Book AwardsShortlisted for the 2018 Waterstones Book of the YearDaily Telegraph's Best Books of the Year, 2018Guardian's Best Books of the Year, 2018Evening Standard's Best Books of the Year, 2018Daily Mail's Best Books of the Year, 2018BBC's Biggest Books, 2018Prospect's Best Books of the Year, 2018 Politicians are consistently voted the least trusted professional group by the UK public. They've recently become embroiled in scandals concerning sexual harassment and expenses. 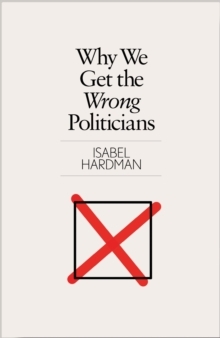 In this searching examination of our political class, award-winning journalist Isabel Hardman tries to square this circle. She lifts the lid on the strange world of Westminster and asks why we end up with representatives with whom we are so unhappy. Filled with forensic analysis and revealing reportage, this landmark and accessible book is a must read for anyone who wants to see a future with better government.